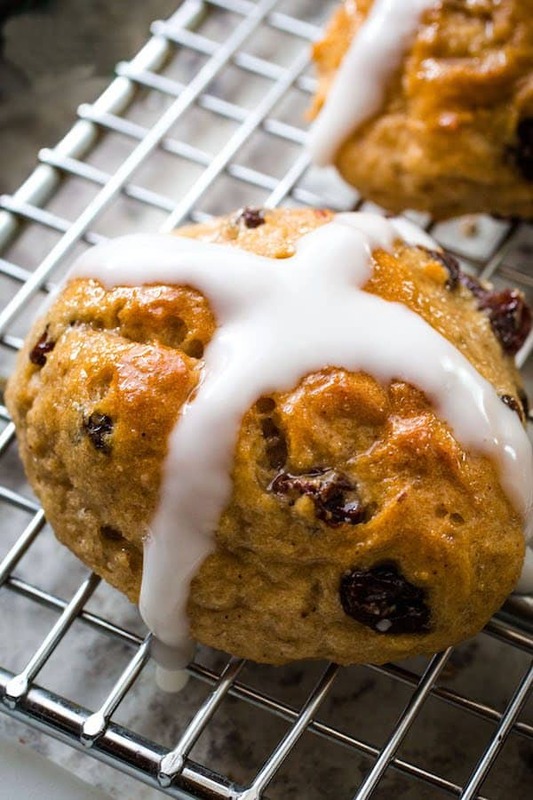 Hot cross buns are a classic Easter treat. This gluten-free recipe makes sweet and tender buns with spices, raisins, and finished with a sugar glaze. Yeast-based recipe. There are so many wonderful yeast-based breads included during Easter celebrations. 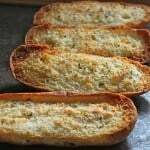 My grandmother always made an Italian Easter bread that was anise flavored and tasted so good toasted and spread with butter. (Related Recipe: Gluten-Free Italian Easter Bread.) But my favorite was always the box of hot cross buns my mother bought a few days before Easter. 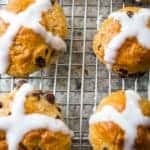 If you love hot cross buns, I’ve got some great news: the gluten-free version is pretty easy to make! And the results are wonderful: soft and tender buns that are filled with raisins and spices. This might be a recipe you bring out all year long, not only during Easter. These buns use a simple blend of brown rice flour and tapioca starch. If you want to use a commercial gluten-free flour blend, use Bob’s Red Mill 1:1 Gluten-Free Baking Flour and add 1 teaspoon of xanthan gum. Without the xanthan gum, the buns turn out dense and heavy. The most important thing to know about this dough is that it won’t form a smooth ball. The dough for gluten-free hot cross buns is thick and soft. 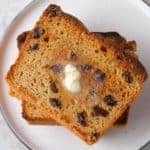 Like my recipes for gluten-free sandwich bread and cinnamon raisin bread, the dough can be scooped and spread, not kneaded. After mixing the dough, stop the mixer and add the raisins or currants. 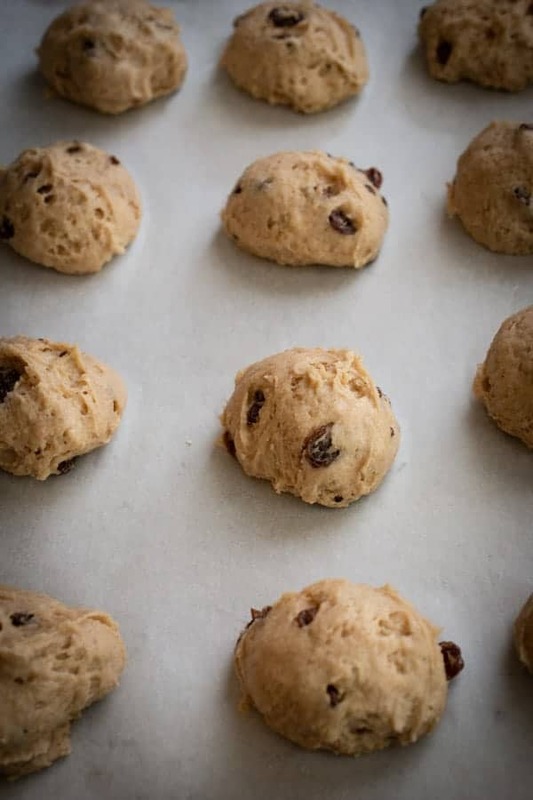 Adding the raisins at the end prevents them from breaking up as the dough mixes. The easiest way to shape the dough into buns is to scoop it with a muffin scoop. If you don’t have a muffin scoop, drop the dough, about 1/3 cup, onto a baking sheet. Then smooth the dough with your hands. Once the buns have almost doubled in size, preheat the oven. Don’t wait for the buns to fully double in size to preheat the oven or the rolls can rise too much and then collapse after baking. These buns get two glazes. 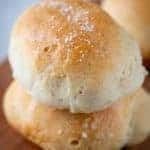 The first is a simple sugar syrup that’s brushed on the buns after baking. The second is a thick powdered sugar icing that you pipe onto the cooled buns. Can I replace the flour with almond or coconut flour? No. Grain-free flour does not work in this recipe. Can I replace the milk? Yes! Replace the milk and the butter with an equal amount of dairy-free alternatives. Gluten-free hot cross buns made without dairy sometimes turn out a little paler than those made with milk. Can these be made without eggs? Probably not. This is an enriched dough. However, I have not had a chance to make these hot cross buns without eggs. What’s the difference between raisins and currants? Excellent question! And it’s a bit of a culinary doozy. Raisins are dried grapes. Currants are not. grapes. Unless they are. Stay with me here. True currants grow on bushes are rather tart. The dried fruit that’s known as currants in the United States are actually “Zante currants”–a phrase you’ve probably seen on boxes of dried currants. These aren’t true currants! They’re small dried grapes. Think of them like tiny raisins because that’s what they are. How’d they get the name currants? Long story. Basically back in the early 1900, Greece exported small dried grapes. Most came from the island of Zante. It seems that the city Corinth was mistakenly translated to “Currant” and the name stuck. Tl;dr: Raisins and dried Zante currants may be used interchangeably. Zante currants are small dried grapes. 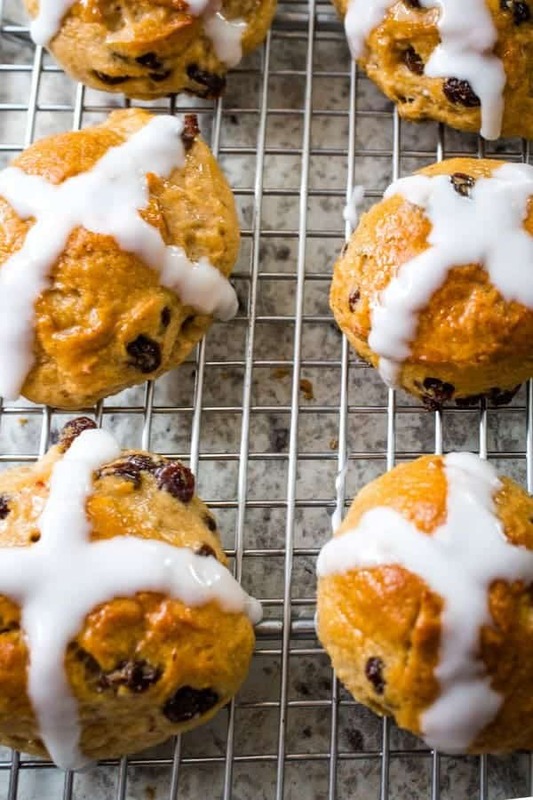 How long do gluten-free hot cross buns last? About two days on the counter. Like all gluten-free bread, this largely depends on your location. If you live in a cold, dry area, the hot cross buns will go stale faster than if you live someplace warm and humid. Store the baked hot cross buns wrapped on the counter. If you aren’t going to finish them before they’ll stale, freeze for up to two months. How do you freeze gluten-free hot cross buns? To freeze gluten-free hot cross buns, allow them to cool completely. Wrap tightly with plastic wrap and then slide the buns into a freezer bag. Freeze for up to two months. Thaw the buns at room temperature overnight before serving. 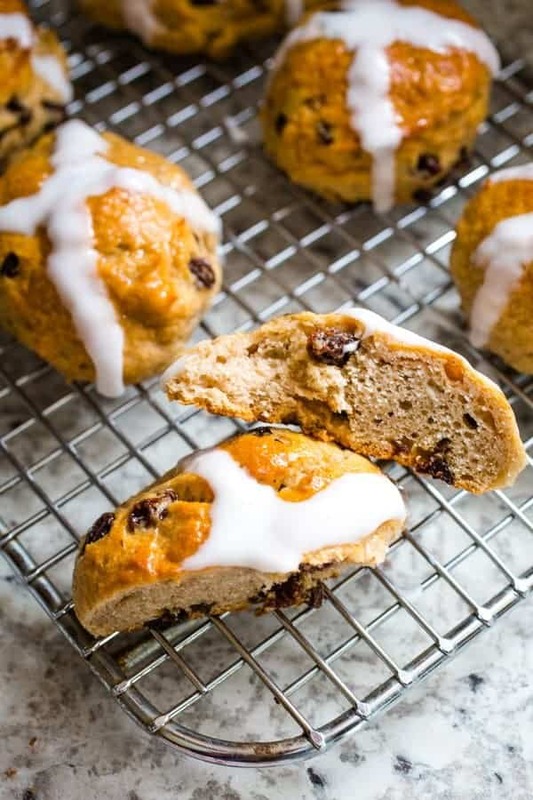 Hot cross buns are a classic Easter treat. This easy gluten-free recipe makes sweet and tender buns with spices, raisins, and finished with a sugar glaze. Yeast-based recipe. 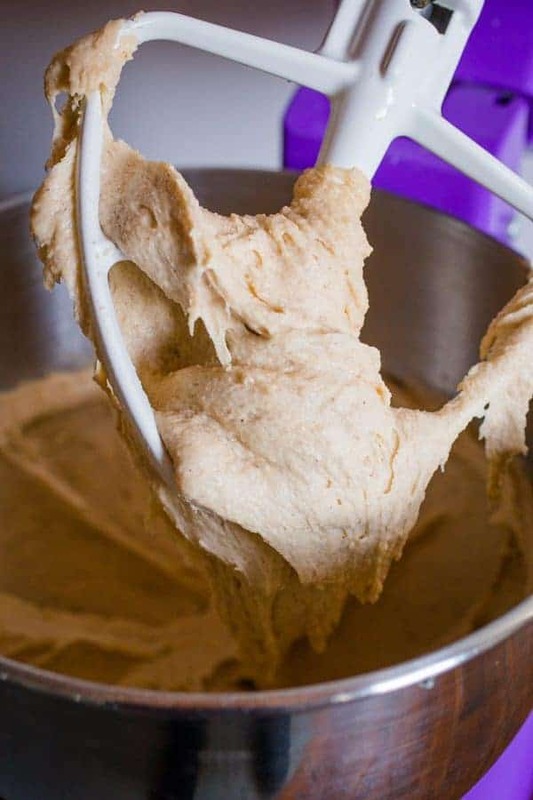 Make the Dough: Combine the yeast with 1/2 cup warm water in the bowl of a stand mixer. Stir to dissolve. Allow to stand for about five minutes. In a medium bowl, whisk together the brown rice flour, tapioca starch, sugar, baking powder, cinnamon, salt, and cloves. Add the flour mixture to yeast-mixture. Add the eggs, milk, melted butter, and orange and lemon zest. Mix on medium-low speed until thick and smooth, about three minutes. Stop the mixer. Add the (drained) raisins. Turn mixer to low. 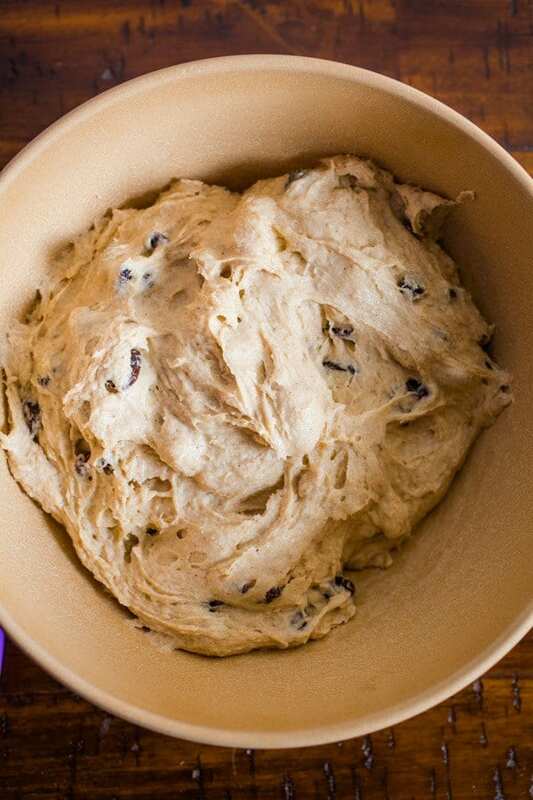 Mix until raisins are mixed throughout the dough. Transfer dough to a large greased bowl. Cover bowl with a piece of greased plastic wrap. Rise: Allow dough to rise in a warm place until doubled in size or refrigerate overnight. Shape: Stir the dough with a wooden spoon to deflate. Line a baking sheet with parchment paper. Scoop dough, about 1/3 cup each, and place onto a parchment-lined baking sheet. Cover pan with greased plastic wrap. Allow buns to rise. Bake: Remove plastic wrap from the pan. Using a sharp knife, cut a cross on top of each bun. Bake for 15-20 minutes or until golden brown. Prepare the Glaze: While the buns bake, prepare the glaze. Combine water and sugar in a small pan. Bring to a boil. Remove from heat. Allow syrup to cool for about five minutes. Stir in the vanilla extract. Glaze the Buns: Remove buns from the oven and allow them to cool on the pan for about two minutes. Brush the sugar syrup onto the warm buns. Prepare the Icing. Once the buns are cool, combine powdered sugar and milk in a small bowl. Stir until smooth. If icing is too thick, add additional milk. Transfer icing to a pastry bag with a round tip. Pipe a cross on top of each bun. Store buns covered on the counter overnight or freeze cooled buns for up to three months. To freeze gluten-free hot cross buns, allow them to cool completely. Wrap tightly with plastic wrap and then slide the buns into a freezer bag. Freeze for up to three months. Thaw the buns at room temperature overnight before serving. Recipe Notes Softening Raisins The raisins should be soft to the touch. If your raisins are dry, place them in a small bowl. Pour just enough warm water over the raisins to cover. Allow the raisins to soak for about five to ten minutes. Drain the raisins and then use as directed. My buns turned out a little flat – I used cup4cup because my supermarket was out of Bob’s 1-1, and added a half teaspoon more xanthan gum. Overnight proofing in the fridge went well, but they deflated quickly while proofing in the oven at 150F, clocking in at 32 mins until deflating rather than an hour like I normally would do. Do you recommend these be risen outside of a proofing oven/drawer for the second rise? They still smell and look/feel delicious, puffy, and yummy… they’re just a teeny bit flatter than normal. I haven’t tested them in a proofing drawer. Based on what you describe, it sounds like they rise a bit too high. Next time, I’d bake them sooner. Hi Good day to you i’m new to your site. 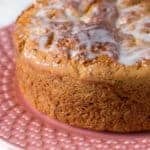 i would like to know if i can use bob red mill gluten fee all purpose flour for this recipe. i would really like to try. since i can’t use the regular flour.